07/06/2001 - Bob joins Jon Grayson on The Voice of St. Louis KMOX Thanks to Jon for a great interview! 05/17/2001 - Popular Mechanics stunning May article on UFO debris MUST SEE! 07/06/2000 - Hard Evidence Featured on Extra TV! 07/01/2000 - Unknown Object displayed at the International UFO Museum and Research Center in Roswell NM, July 1st through 5th. Special thanks to the museum directors and staff! 03/26/2000 - The Hard Evidence team wishes Bob a "Happy 69th Birthday!" 08/21/1999 - Mike Murphy reads Bob's sworn statement on ART BELL! 08/20/1999 - Bob appears on the Mike Murphy Show KCMO AM 710. Thanks to Mike and everyone at KCMO! 07/13/1999 - Bob personally delivers photographs, reports, and other information, to aides for United States Senators Ashcroft and Bond of Missouri. Requests congressional hearing. 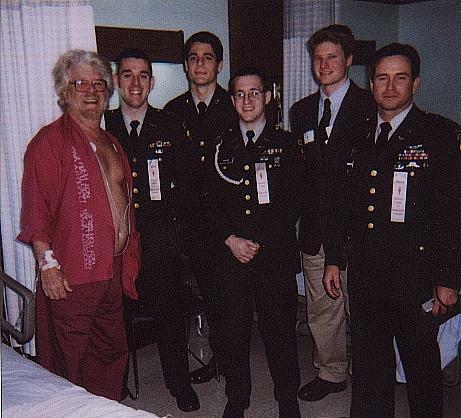 Bob had visitors while in the hospital. 01/14/1999 - Read Bob White's Sworn Statement!! 10/29/1998 - A Hard Evidence Exclusive Where have all the pieces gone? 09/07/1998 - Why Has NIDS Removed Bob White's Analysis?? Why Not Let Public See the Results? 09/06/1998 - $ 1,000,000 Reward Offered for UFO or Pieces of One. 07/31/1998 - Click Here for Michael Lindemann discussing the Mike O'Brien article on "Sightings with Jeff Rense"
07/30/1998 - Larry Joe Treadway interviews Bob on WLXG AM 1300 in Lexington, KY.
07/20/1998 - BREAKING NEWS!! 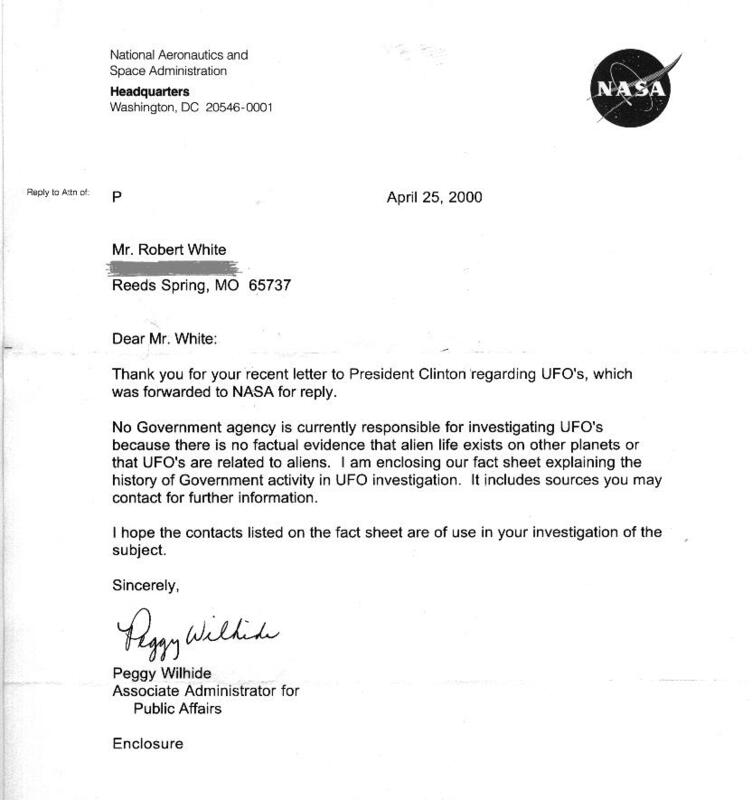 Columnist Mike O' Brien breaks Bob White's incredible UFO experience in the Springfield News-Leader, a Gannett newspaper.